From farms to transportation and storage in the store, eggs are handled carefully to ensure their safety through to your kitchen. 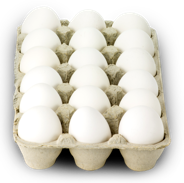 It’s important to follow some tips to ensure eggs stay safe for your family to eat and enjoy. First, keep eggs in their original carton, so you can check the Julian and sell-by dates.